No Rinse Wash & Shine is the most technologically advanced car wash system to date, that requires 2gallon of water to wash the entire car. Optimum No Rinse & Shine (as the name suggests) does not require rinsing with a hose since there are no soapy surfactants to wash off into the storm drains. This unique product contains substantive polymers that bond to the paint and protect it from abrasion during the wash. These polymers offer greater protection and lubrication than conventional car washes and leave a slick and glossy finish behind afterwards. The waste water in the bucket can be used to water the lawn or disposed of into a sink, where it will be treated. 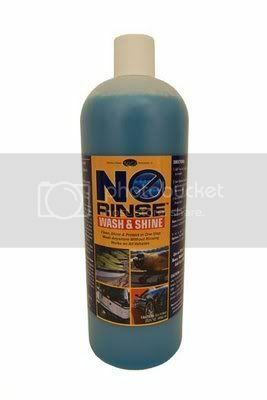 Other additional benefits of No Rinse Wash & Shine are faster washes, the ability to wash anywhere at anytime including washing inside the garage during winter, no messy runoffs, and a better looking finish. No Rinse Wash & Shine also can make as clay lubricant as well! These are just some of the reasons No Rinse Wash & Shine is being used by many people across the world, saving millions of litres of water every year. New Car But Why Got Scratches?